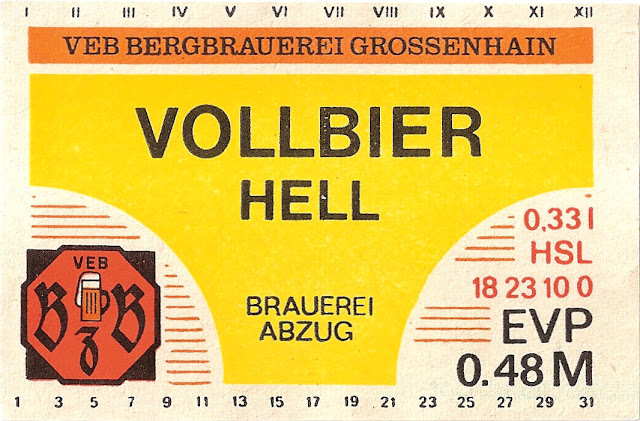 DDR label fun. What kind of fun is funner than that? Especially when it's what I call the underpants brewery. It seems to have closed just after reunification. I wonder if it was the labels that did for it? It's great fun trying to guess the date of DDR labels. Some from the 1980's you'd swear were from 30 years earlier. There is one clue. The unit of currency. 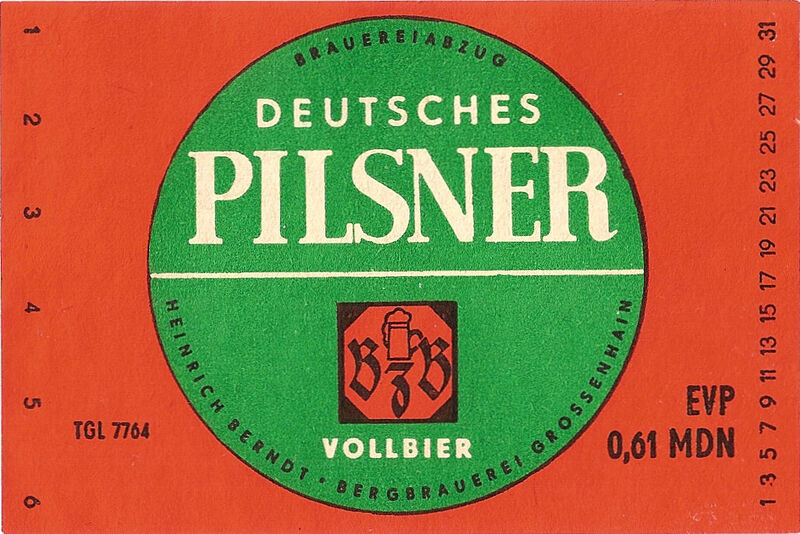 On older ones it's MDN, later ones simply M.
Sadly I don't have the underpants version of Pils. As it would need to be green, it must look lovely. VEB stands for "Volkseigener Betrieb" i.e. nationalised. 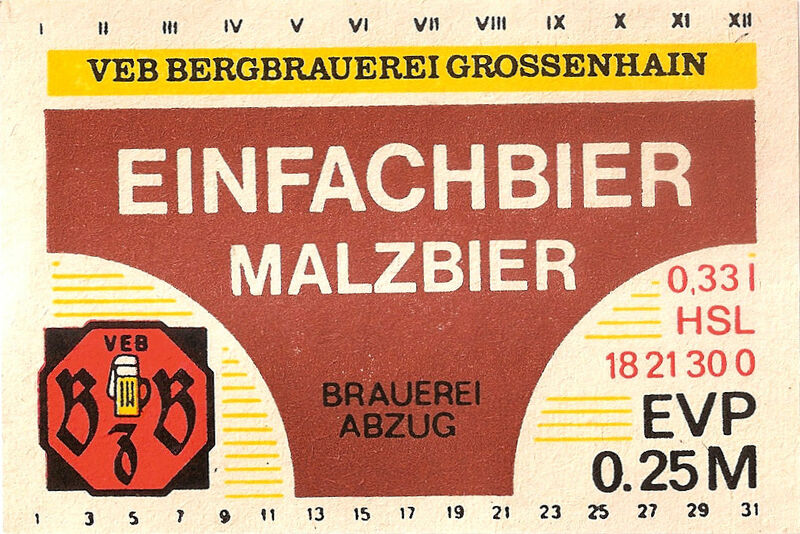 Surprisingly, a few very small breweries remained in private hands for the who;le of the DDR's short and tragic existence. Even more suprisingly most are still mashing happily awaay. Underpants are tragically overlooked as a marketing ploy for beer these days! "Is that a Malzbier in your underpants or are you just pleased to see me?" Wessis not Ossis, but these people seem to have had a similar knack of letting the tides of history wash over them. I found them when I was searching for information on the titular Count Arco Valley, a proto-Fascist of renown from the early inter-war period. 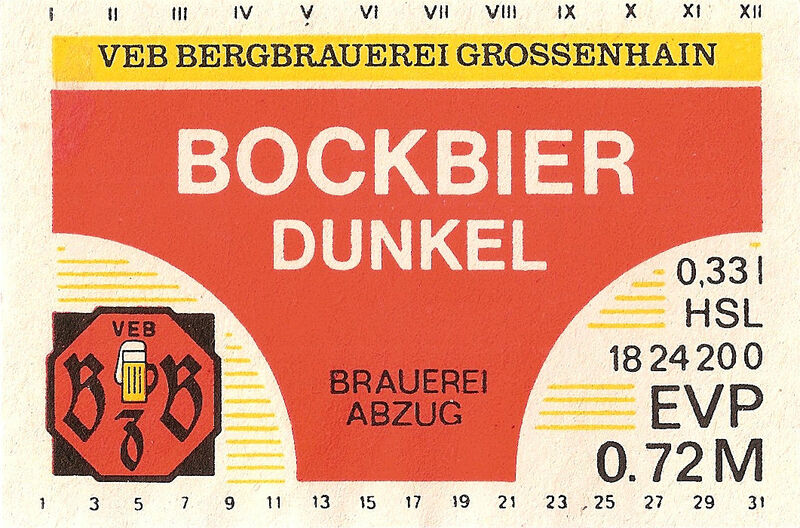 The brewery's 'our history' page is worth a look, although not for the obvious reason. Where was a brewery’s money?